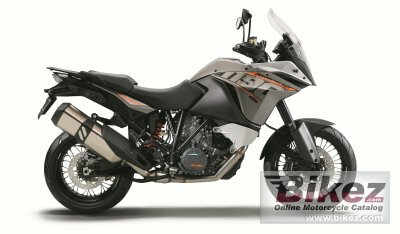 2015 KTM 1190 Adventure. Picture credits - KTM. Submit more pictures. Already in 2014, the 1190 Adventure, together with its �R� sister model, has been turned into what is currently the world�s safest motorcycle - yet still with undiluted riding pleasure. I was the first motorcycle, offering Bosch�s new MSC (Motorcycle Stability Control). MSC enhances the existing package consisting of lean-sensitive traction control and ABS featuring a combined braking function with a world first: the first ever lean-sensitive cornering ABS. Comments: Small windscreen. Ride-by-wire system. Traction Control. Ask questions Join the 15 KTM 1190 Adventure discussion group or the general KTM discussion group. Bikez.com has a discussion group for every motorcycle. Here you may find answers to common questions about the model. If you do not find what you are looking for, you can ask questions. Try out the 2015 KTM 1190 Adventure discussion forum. You can sign up for e-mail notifications when other users answer you. If you have information about any technical issue related to this motorcycle, please leave a comment for other riders.